Oh. Great. Just as I wean myself off the wonderful Game of Thrones mod for Crusader Kings II, now I find out there's a Lord of the Rings mod for Crusader Kings II. 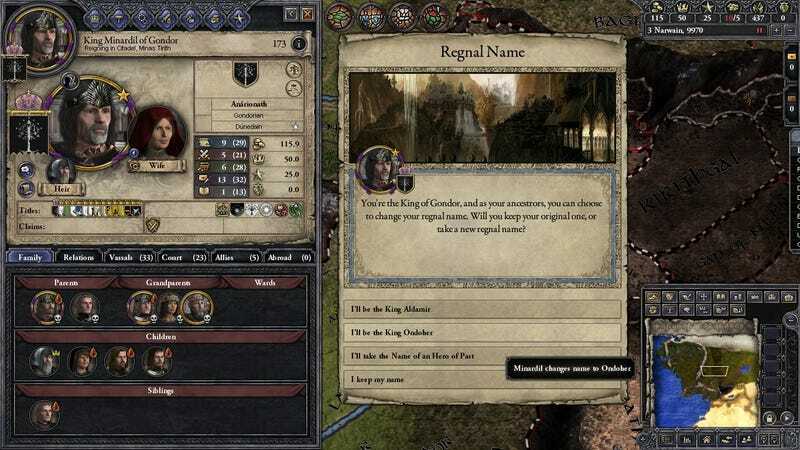 OK, so it's not quite as perfect a fit for CKII's "strategy vs backstabbing politics" as Game of Thrones is, but it's still epic, it's still medieval-ish, and whatever, it's giving me an excuse to play Crusader Kings II again.